Jose Altuve rounds third after his first-inning home run Thursday night. 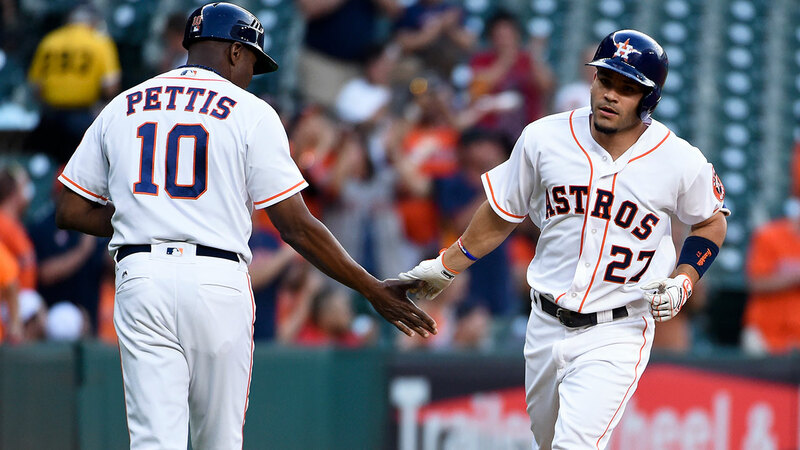 HOUSTON (KTRK) -- Jose Altuve, Astros second baseman, has been named the American League Player of the Month for June by Major League Baseball. The announcement marks the first career Player of the Month award for Altuve, and the first award given to an Astros player since Lance Berkman in 2008. In June, Altuve hit .420 with six doubles, four homes, 15 RBI, six steals and a 1.112 OPS in 26 games. Altuve has been named AL Co-Player of the Week twice in his career. The Astros took home five monthly awards last seasons, including three for pitcher Dallas Keuchel, shortstop Carlos Correa, and pitcher Scott Kazmir.